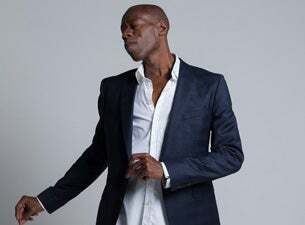 From the moment Andrew Roachford found himself sitting at a piano aged four, music has been his way of making sense of the world. Growing-up in London around a vibrant melting pot culture, he was like a sponge absorbing diverse musical influences from reggae and punk, to rock, Jazz and soul music. Roachford's trademark has become his rare ability to put into words, feelings you didn’t even know you had, “It’s one of the reasons why I make music; to bring out those things that people feel, but haven’t always got a voice for. I like to bring the inner person to the forefront”. And over the year's, anthems like Cuddly Toy, Get Reast, Only To Be With You and Family Man have done just that. Roachfoard is back in 2019 with a new tour taking in Glasgow, Newcastle, Norwich, Manchester, Birmingham, Brighton, Bristol and London in October.